Fuji music living legend, Wasiu Ayinde Marshal, popularly known as K1 De Ultimate, has disregards the video making the rounds that he is supporting the presidential ambition of the President of the Senate, Dr. Abubakar Bukola Saraki. The position of K1 was contained in a statement to clarify a video that had been making the rounds in the last few days, saying he had endorsed Saraki as the country’s next president. 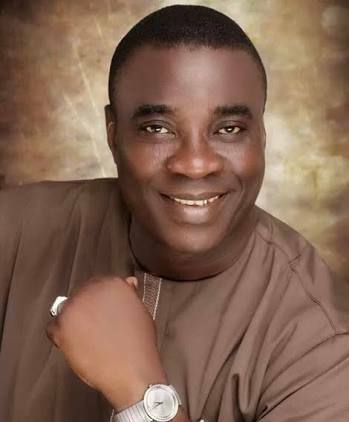 K1, who likened that to artifice, said he is highly disappointed that someone like Saraki can be involved in such a fraud because it is evidently clear that the only person he is rooting for to become the president in 2019 is no other than President Muhammadu Buhari. This, he said he has shown by telling the world where his loyalty belongs at every occasion lately. K1 has also on countless occasions granted interviews to several media organizations that he is for Buhari till 2023. K1 said he is already talking with his lawyers to seek redress on the matter. The statement added that he is also using this medium to sound it clear that he will never ever endorse someone who has acted as a betrayal to his party right from when he assumed the office till the time he left the party for the opposition.